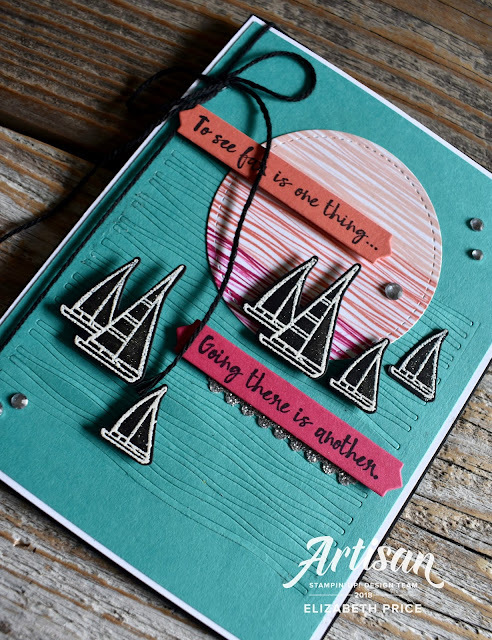 Earlier this month Stampin' Up! hosted events all around the world for Demonstrators called Onstage. A those events the new 2018-2019 Annual Catalog was unveiled, stamp presentations inspired attendees, business ideas were shared, make-n-takes were put together, swaps were abundant, thoughtful gifts were given, and new products were on display. I love these events for the social mini vacation, but I also really enjoy seeing all the new stuff up close and personal. This hop is all about sharing with you some of the hand made projects made for the displays and presentations at Onstage. 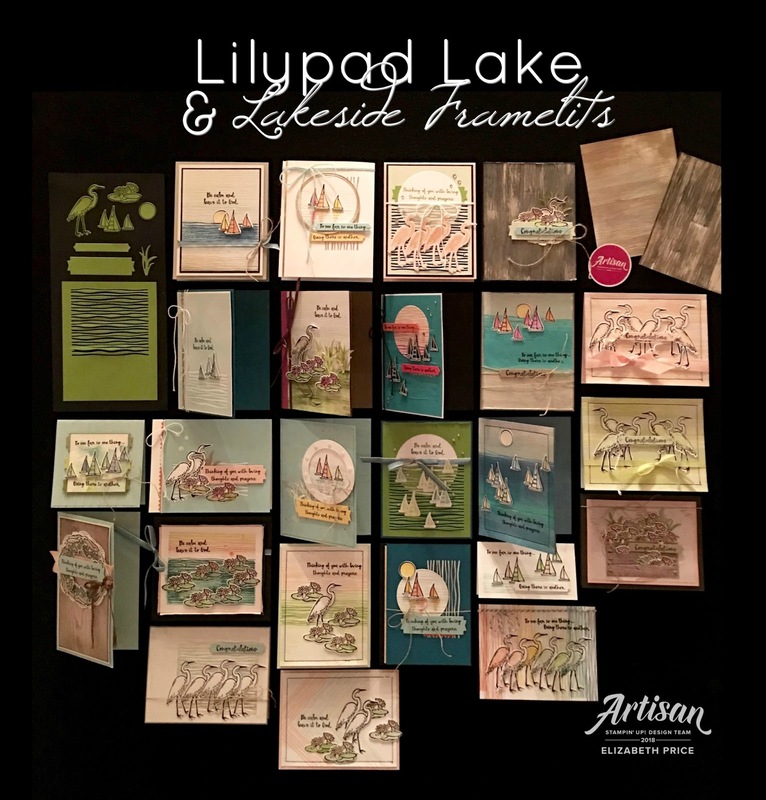 I attended the Las Vegas Onstage event and was so honored and thrilled to have the opportunity to present a showcase for the Lilypad Lake Stamp Set and the Lakeside Framelits. 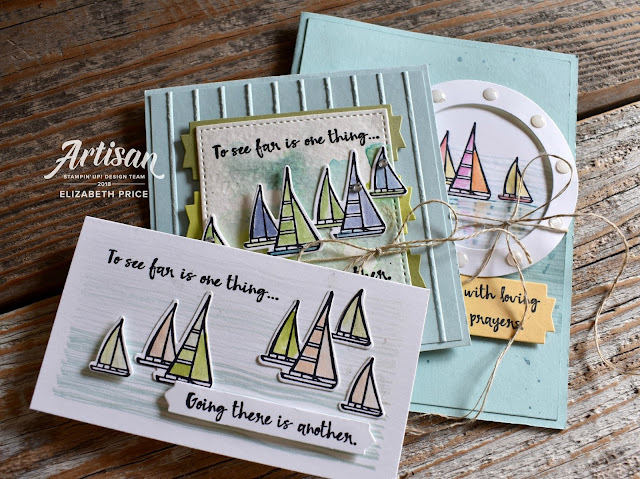 While my presentation featured four samples (shared in an earlier hop) I made bunches and bunches of cards featuring the set and framelits. I totally went crazy. Why? because the bundle was SO user friendly and I was inspired to make another card with each card I completed. 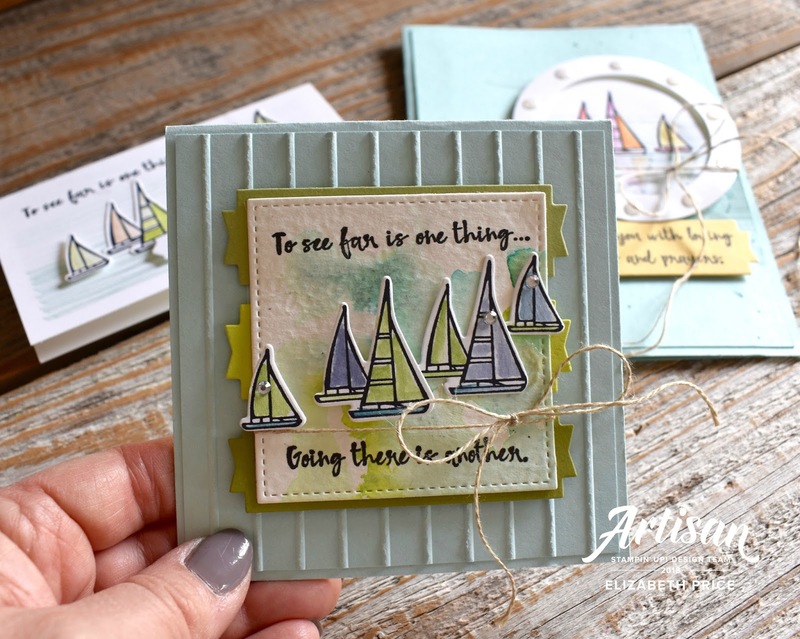 For this hop I am sharing a few samples featuring the sailboat image and matching framelit. The larger label framelit in the Lakeside set makes a perfect and interesting background for smaller focal panels. This stamp set is perfect for coloring--just pick you favorite method. My favorite pick is watercoloring; it's quick and easy. 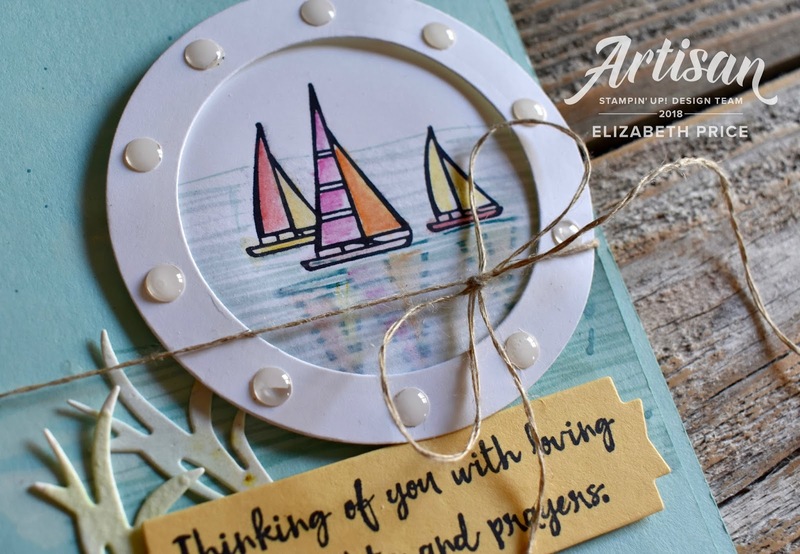 This porthole card includes a bit of stamp kissing to create a reflection. I used the wavy line image to stamp the reflection and an Aquapainter to watercolor the images. 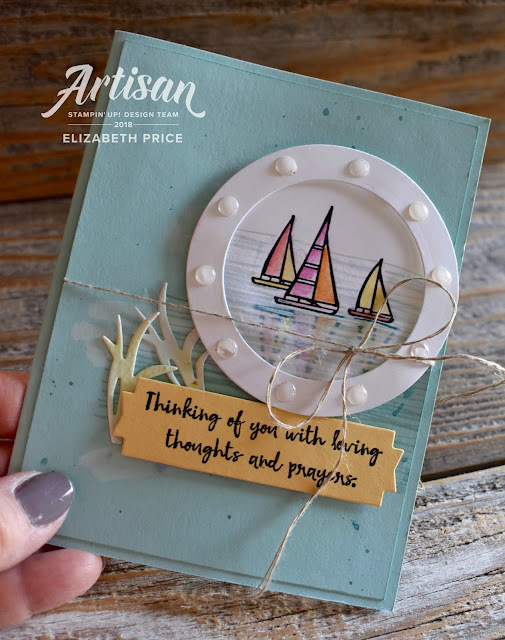 A subtle white wash of ink and Pool Party ink splatters create depth, texture, and help to anchor the grass cut outs, the label, and the porthole. The background for this card happened by accident. I didn't use the Precision Base Plate AND I ran the wavy line framelit piece parallel to the roller in the Big Shot. When you pass it through that way it WILL NOT cut all the way though. Instead you get an embossed look. I did add a few pieces of wash tape on the backside to hold some pieces in place that cut deeper. 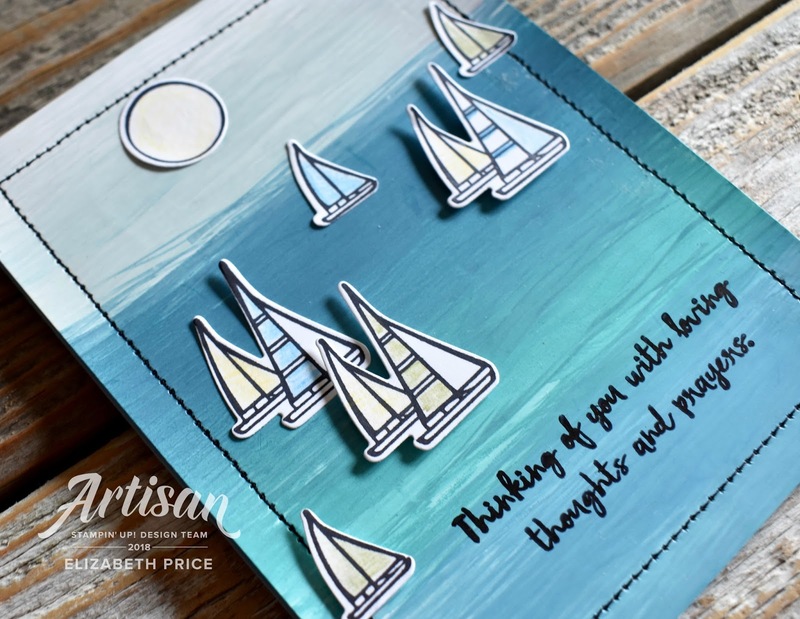 This background was painted with Soft Sky, Pacific Point, Bermuda Bay, and Marina Mist. Thanks for stopping by and taking a peek at my Lilypad Lake samples. Your next stop along the hop is with an amazingly fabulous stamper Lauren Alarid. 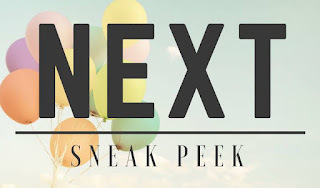 You are in for a treat. I saw her presentation and it was AWESOME! Go hop and you'll see. Wow Elizabeth!! You nailed this set! Everything just looks stunning!! Love the way how you created your backgrounds! I cannot wait to get this set! Your colors are lovely and I adore the way you shifted the focus in different cards. Thanks so much for sharing! So much Lilypad Lake fabulousness!! I bet your presentation went down a treat with all these gorgeous projects to share. WoW Elisabeth! So many beautiful projects! WOW-WOW-WOW! 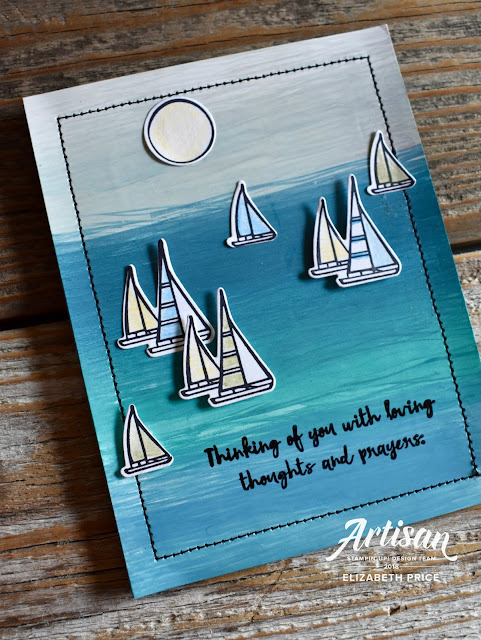 You are such a talented card making. All of these are fabulous and it's impossible to choose a favorite. That port hole is genius. Totally going to copy that idea, if that's ok. Your backgrounds have such depth and fabulous texture. Lovely! Love this suite and what you have done with it!! It was one of the first things I ordered!! 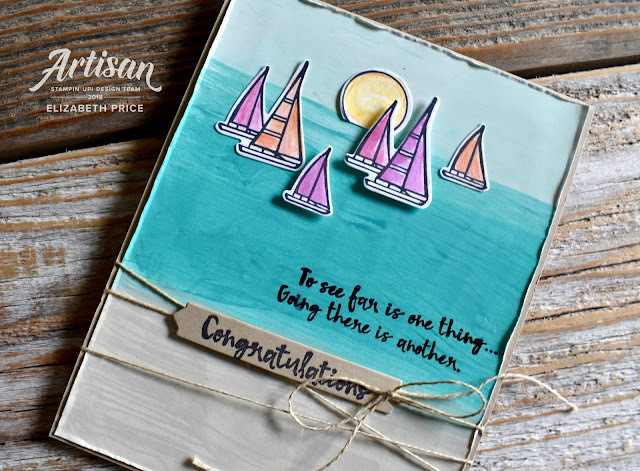 Love your painted background - do you have any instruction/ video showing how this is done? Wow! 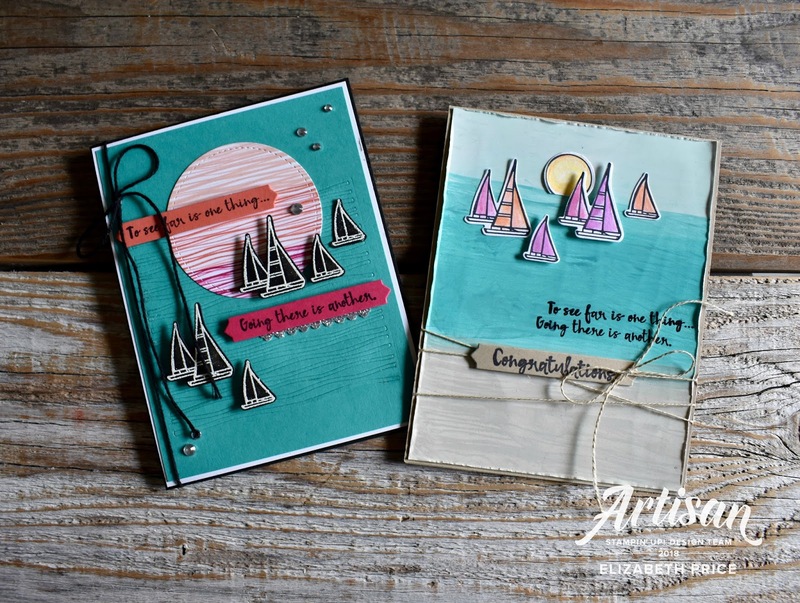 Love how you created the water background and love all the different cards you created with this stamp set. 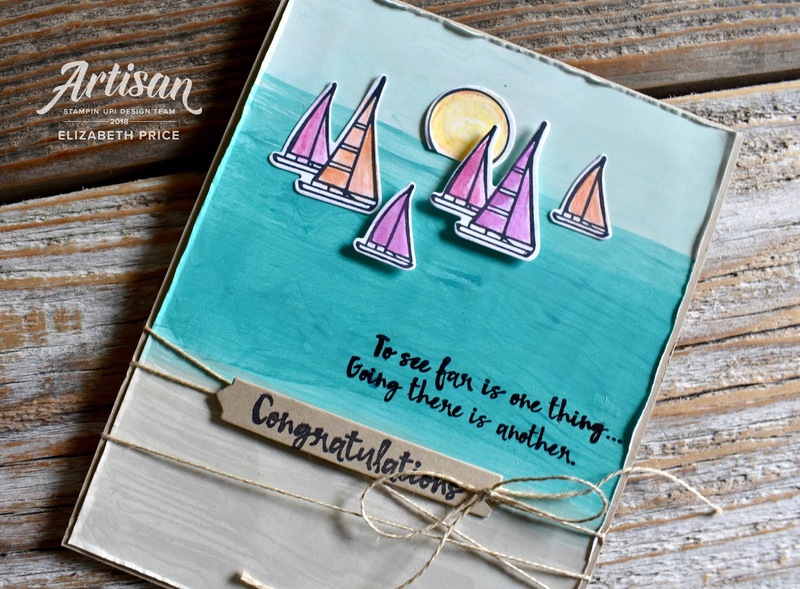 So inspired and cant' wait to get this stamp set. You're so talented! Blown away by your Onstage samples.... I had the pleasure of presenting the same set at the Sydney Onstage event. So glad I didnt see these until now.... I would have thought myself very unworthy! Love what you have done! These are just wonderful! Could you do a tutorial of the background technique on the glossy white paper? I would love to try it!